An open grid is one that allows outside people to connect their own regions. Those regions could be hosted for free on home computers, or be provided by third-party hosting companies, such as Dreamland Metaverse, Zetamex, CloudServe, Oliveira, or any other grid-agnostic vendor on our hosting list. If there are other grids that are open that I’m missing, please email me at [email protected]. Closed grids are those which do not allow third-party connections, have hypergrid turned off, and all the land sales are directly from the grid owners. 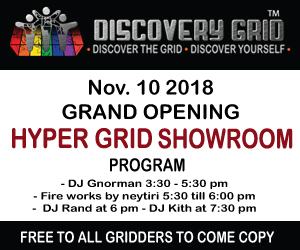 Filtered grids are closed, commercial grids except that they have hypergrid turned on — but only allow certain types of content to leave the grid. For example, a grid might allow only full-perm content to leave the grid, or only copy-transfer content, or only content that has the new “export” permission. These grids embrace the best of all possible worlds. They satisfy content creators by allowing them the option to choose whether their content can go on the hypergrid or not, while allowing residents the option of exploring all 200-plus grids on the hypergrid. If any other grids also filter content when users hypergrid out, or save OAR or IAR backups, please email me and let me know. Which commercial grids are hypergrid-enabled? The last category of commercial grids — meaning grids that will rent land to you — is hypergrid-enabled but does not allow outsiders to connect regions, and does not filter content. Which type of grid is right for you? If you are a content creator with content that can be stolen via copybot, then choose a grid based on where your customers are. Make it easy for your honest, paying customers to find you, to buy and use your products, and to get service and support. All grids, including Second Life, battle against copybot thieves. No grid has yet been successful. The one area where content creators do have legitimate concerns in OpenSim are scripts and rigged meshes. These cannot currently be stolen by copybot — but can be stolen but unscrupulous grid or region owners with access to their asset databases. For maximum protection of scripted and rigged mesh content, creators and merchants should consider limiting distribution to closed and filtered grids only, and stay away from open and hypergrid-enabled grids. However, even among this group of creators, some are already experimenting with selling their content more widely, usually starting with last-season content, or content that is not otherwise selling well because they calculate that the increased revenues from hypergrid sales will offset any actual losses due to theft. 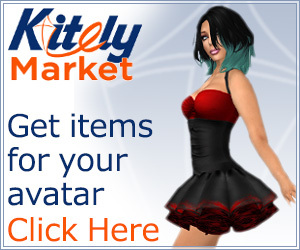 Fortunately, there is currently no mass distribution channel in OpenSim itself for pirated goods. Let me repeat that again — there is no mass distribution channel in OpenSim itself for pirated goods. On the Web, you can use torrents and pirate sites to quickly find movies and music and cracked software — if you’re willing to put up with viruses, of course. In OpenSim all the major grids have cleaned up their biggest freebie stores and welcome areas. So the piracy that is going on is minor and not likely to significantly impact sales — an out-of-the-way freebie store somewhere that nobody knows about, or a friend passing along a copy to another friend. Finally, many merchants are adopting a “trust but verify” philosophy. They make it easier for paying customers to get their content, but they also check in once in a while with the major distribution venues — like the Kitely Market or the most popular freebie stores — to ensure that their content isn’t being illegally distributed. Zetamex owner Timothy Rogers just pointed me to a site that advertises itself as a place for copybot content. Content creators who don’t already know about it can contact me directly for the link. The site is not particularly user-friendly, difficult to search and use, and certainly not a place where your legitimate customers will be coming to buy content. Sites specifically set up as piracy sites are frequently plagued by virus-laden content, and garner attention from the authorities when they get to any appreciable size. I can see these sites as causing problems for creators if crooks go on the site, download a large collection of pirated content, then try to re-sell that content in-world. It would save the crooks a little time — they can go to the site, instead of using a copybot themselves to steal the content. But it doesn’t solve their distribution problems. If they set up a store on any popular grid, they’ll get taken down and, eventually, perma-banned. And the more they advertise the store to get customers in, the more likely it is that their store will be noticed as a copybot store and shut down.